Made using the boiling method, this lovely rich fruit cake is packed with flavour despite being nut and alcohol free. First and foremost, I must apologise, we are still in September and I’m going to mention Christmas! The festive season arrives earlier every year, I’m sorry! I’ve not lost the plot, there is reason behind my apparent madness! At this time of year, actually a bit earlier usually, I make our rich fruit cakes ready for Christmas. Yes, I could make them in the week or two leading up to the event, but as a family we’ve always found that the cakes taste sooo much nicer once they’ve matured for a number of weeks. The cakes don’t spoil in the least, they become more moist and develop a much deeper flavour. Simply ensure the cakes are wrapped thoroughly and move it out of sight with some alacrity to avoid temptation and you will be rewarded with a beautiful cake for Christmas. I recall some years ago a work colleague was approaching her silver wedding anniversary and told us that they were going to serve one of the tiers from their wedding cake at the party! Some people were aghast but she explained that the cake was fine having been sealed in the marzipan and icing which had decorated their cake. The marzipan and icing had clearly changed colour (!) but the cake, by all accounts, was still good to go! In fact, Mr E & I still have the top tier from our wedding cake, which we made ourselves creeping up to 10 years ago. Gee, ten years, how did that happen?! Mum & I have always use Grandma’s recipe for our fruit cakes, using the creaming method and it never fails to disappoint. This year, however, having read about the boiling method of making a fruit cake over at Rosehips & Rhubarb, I thought I’d give it a whirl. In recent years we’ve tended to bake our fruit cakes in a loaf tin simply because we find that they are far easier to slice and take less space when storing them. The boiling method is very straight forward, even Mr E, a self confessed non-baker would be able to do this I’m sure! The butter, sugar and marmalade are melted and then boiled with the fruits for a short period. This results in the dried fruit being plumped up and giving a moister eat. Other than the marmalade and water, the ingredient list is as Grandma made her cakes. She didn’t include nuts nor alcohol in her Christmas cake and to be honest, we much prefer it that way. And the verdict? It was delicious. We sliced into the loaf only two weeks after the bake and found that the cake was wonderfully moist and packed with flavour. The method resulted in a cake which was a little denser than Grandma’s bake, with the creaming method, but that is probably due to the moisture in the cake. We will certainly use this method in future years too. As the cake is packed with fruit and is firm, it can easily be decorated nearer to the festive period. I’m really looking forward to slicing into the second cake over the festive season when it’s encased in marzipan and icing. Time: 25 minutes hands on; bake time 2 hour 30 minutes to 2 hour 45 minutes: plus cooling time. 2. Allow to cool. Once the fruit has boiled, turn off the heat and allow to cool for at least 3 or 4 hours. 3. Prepare the loaf tin. Grease and fully line the loaf tin with greaseproof paper. 4. Pre-heat the oven to 160c / 140 fan / Gas 3. 5. Complete the cake mixture. Pour the fruit mixture into a large mixing bowl (or keep it in the pan if it is large enough to accommodate the flour and eggs). Add the almond extract. Gradually add the 2 large beaten eggs to the bowl and mix well with a wooden spoon after each addition. Add the cinnamon and mixed spice to the weighed flour. Sieve the flour and spice into the bowl and fold into the mixture with either a spatula or metal spoon. 6. Fill the prepared loaf tin. Tip the mixture into the prepared loaf tin. Using the back of a spoon ensure that the mixture is sat in the tin well with no air pockets. Level off the mixture with the back of the spoon and then make a slight indentation in the centre of the mixture to help ensure the cake doesn’t develop a domed crust. 7. Bake. Place in the pre-heated oven for 30 minutes. Reduce the oven temperature to 140c / 120 fan / Gas 1 and continue baking the cake for a further two to two hour fifteen minutes in the oven (around 2 hour 30 minutes – to 2 hour 45 minutes in total). You may need to rotate the tin after 1 and a half hours of baking. 8. Cool. Once the cake is cooked through and an inserted skewer comes out clean, remove the tin from the oven and place onto a cooling rack. Leave the cake in the tin to finish cooling. 9. Wrap & store. Once the cake is completely cool, remove it from the tin, leaving the greaseproof paper around the cake. Wrap thoroughly with tin foil. Store the cake for at least two weeks to mature, but the longer you can leave it the better it will be. We usually leave ours 3 or 4 months. I can't believe how organised you were making your cake in September. I still haven't made mine but I really must get on with it! 50th anniversary 🙂 – maybe knowing our memory – it's tucked away out of the way well sealed in an tin. I've been thinking for a while that we might actually break into it on our tenth anniversary this next Spring. That looks amazing.Perfect for a day out walking, proper comfort food to sustain a hiker! 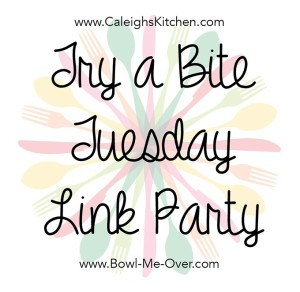 I'd love if you considered linking to my Outdoor food linky. I'll have to give this a go and I'll let you know how well it travels. It certainly is packed with goodness (and calories) so would be great for a hike. When we have a fruit cake in the cupboard, Mr E & I will often package a slice or two up for one of our rambles. Mr E always claimed he didn't like fruit cake when we first started dating, but once he tried our fruit cake (made with Grandma's recipe) he was sold! We love fruit cake too, once we cut into a cake, it never lasts long! Ooh do try it Marta when you get chance. We love fruit cake and have always made it with the creaming method, but the boiling method seems to make the fruit far more plump. Aw thank you Lins x You must try making your own fruit cake for Christmas (assuming you like fruit cake). You could get the children involved and make a wish each as you stir the cake 🙂 (something we used to do when we baked fruit cake when I was a child with my mum and grandma). Thanks Kirsty. I know what you mean about it feeling an age away, though we like to make ours as soon as possible to allow the cake to build the flavours. Hahaha, it really is Alison. I made 3 of them the other day (2 large & 1 small) I have high hopes for the two large cakes I've scurried away for Christmas time!